The inspiration for this set comes from the water nation in the animated series “The Legend of Korra” & “Avatar: the last Airbender”. 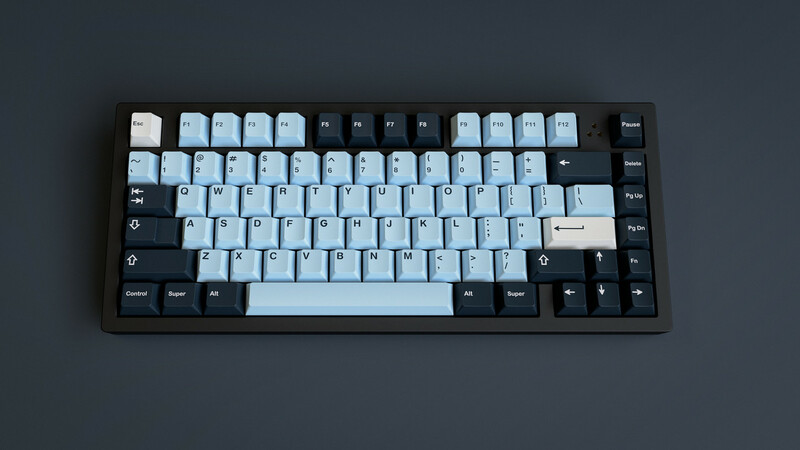 The colors worn by the water nation and Avatar Korra are reflected in this keycap set. The novelties pay homage to both shows. 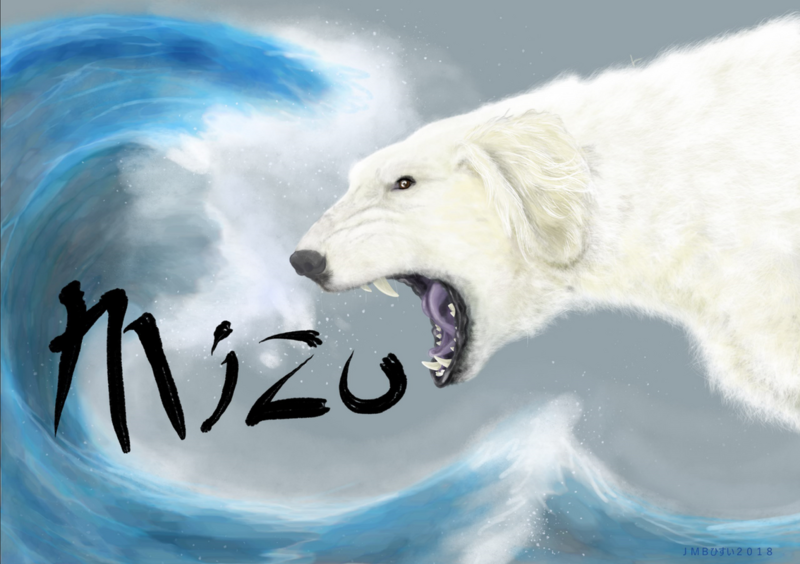 The name Mizu is water in Japanese 水. When I first started working on the set I knew I wanted it to be as affordable as possible while still retaining a wide range of compatibility. I know some people will have suggestions for adding certain things and I welcome the feedback! But unless a change gets a fair amount of interest it most likely won’t be added/changed in order to keep costs down. 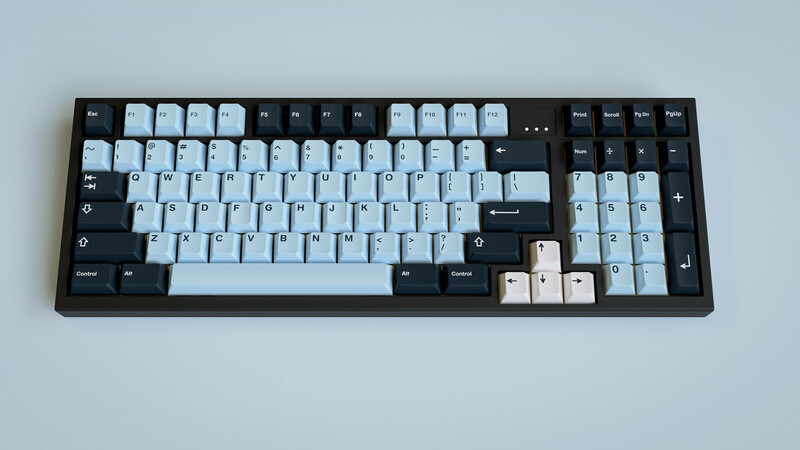 All of the custom colors for this set are Pantones which have already purchased and sent to GMK, this way we can get the colors to match more accurately. 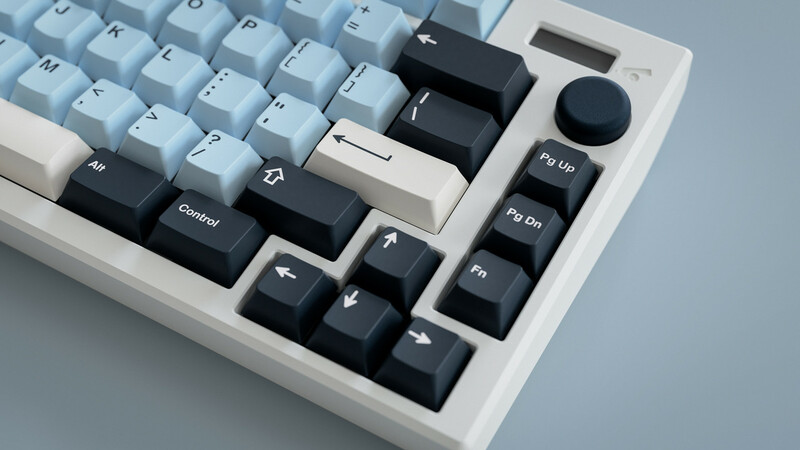 The base will cover most standard things such as 60%, HHKB, WKL, 75%, TKL, 1800, Full size. 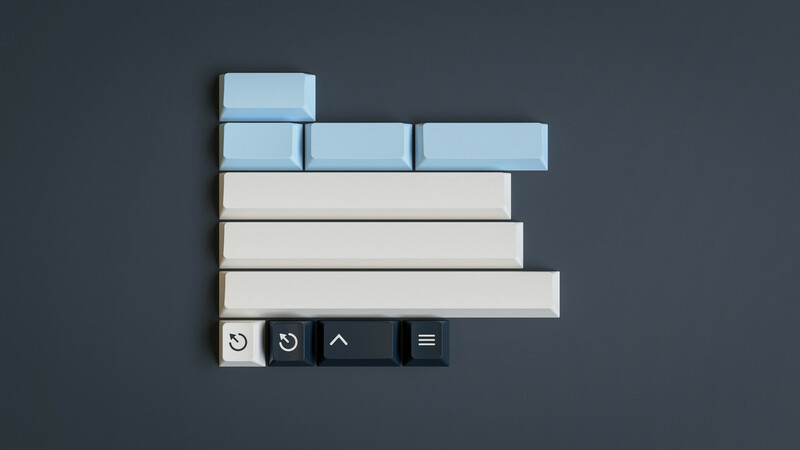 This kit might seem a little odd being a typical looking spacebars kit with 4 icons tacked on. 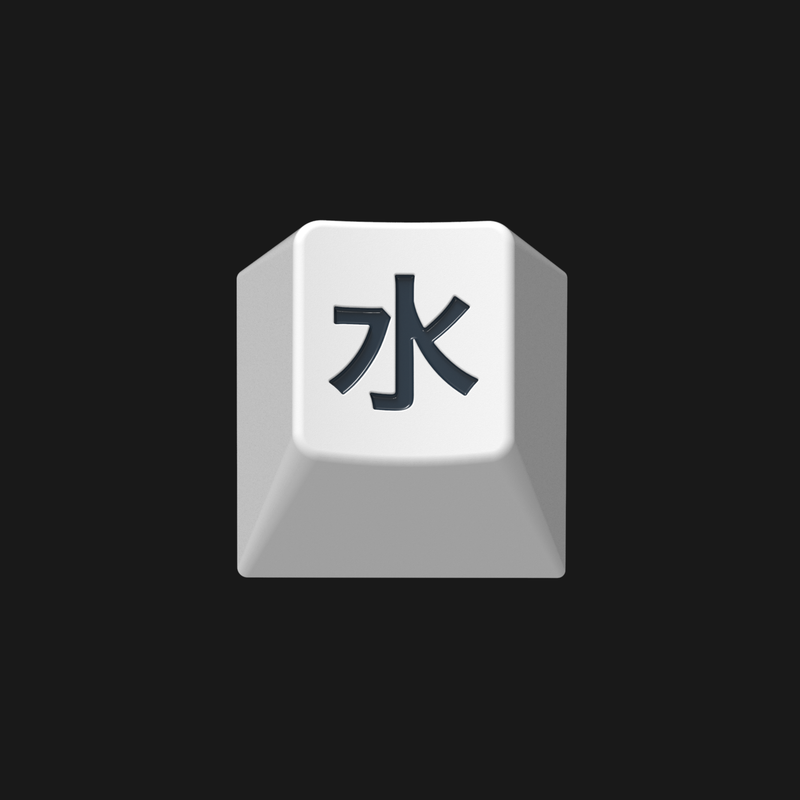 The reason for those is to give HHKB users that R1 & R3 icons so they don’t have text mods mixed in-between icon mods. 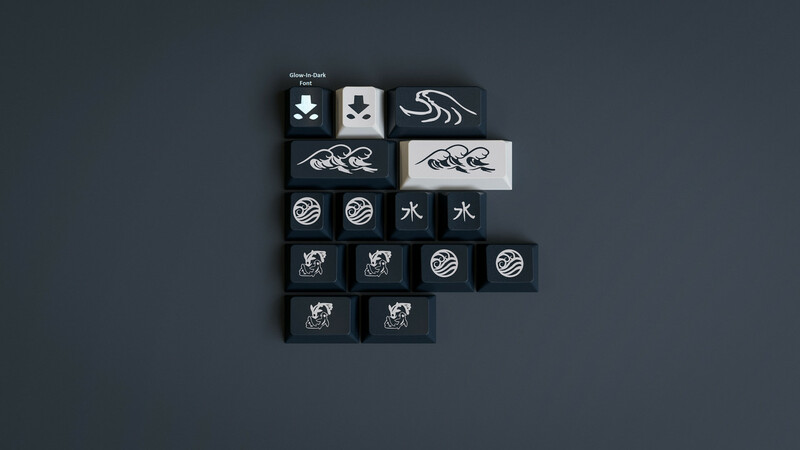 You’re probably thinking, “why not just split this kit up and offer a full icons kit and spacebars?” Well, I was trying to keep this set to 3 kits max to help them hit MOQ but, if you would like to see this kit split into both then please make your voice heard and VOTE in the Google form below! As stated above, I think we captured the theme across both shows pretty well. We had other ideas but I wanted to keep the novelties somewhat small to keep costs down! 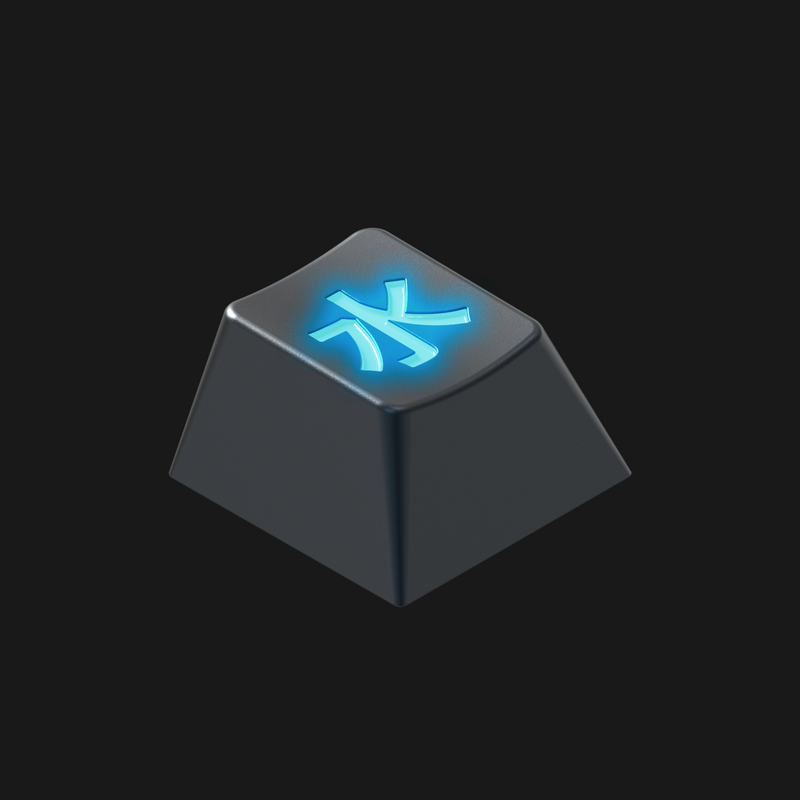 Something cool to note is the modifier colored ESC novelty will sport glow in the dark font! The glow will be a light blue close to white. Can you say Avatar state? Just to settle this once and for all! And if you are really confused why this should even have to be posted, I am in the same boat. -Waiting on quotes for current kits! -Forgot to mention the 1st img at the top of the polar bear/dog is the box art! Both Google forms below help us tremendously if you have time to fill these out! 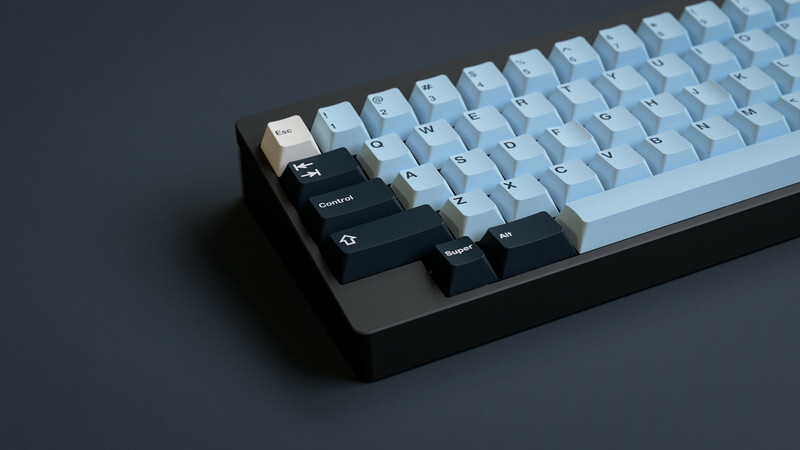 Really digging the deep navy on those modifiers as a pair for the pale blue on the alphas. 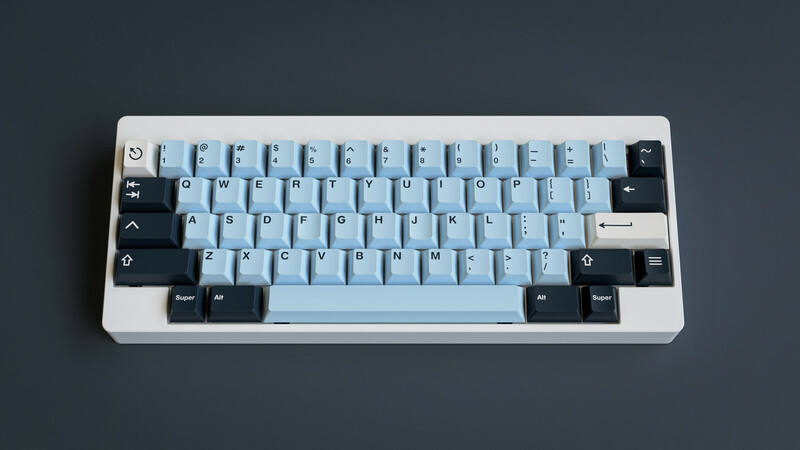 Great job on the colors, best of luck getting GMK to match 'em! I’m in for it. This set looks amazing! Now I just need to find a good board to put it on! Hahaha, that boards fantastic, but I was thinking some think like a 75%. 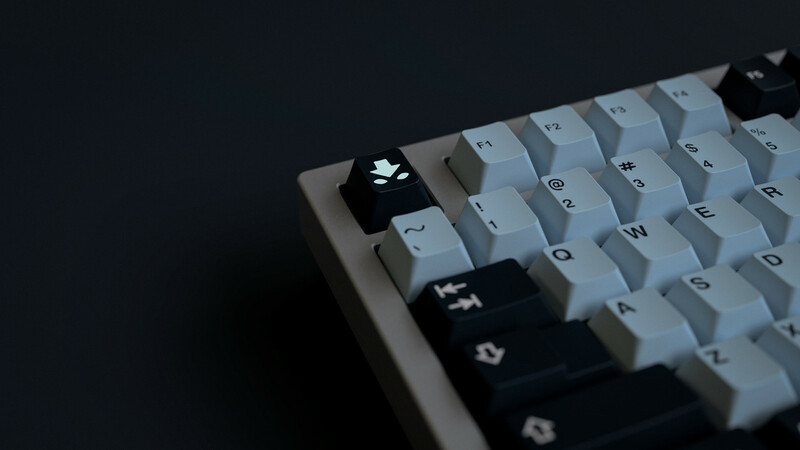 Maybe a Xeno, I really want to get a Orange75, I think those things are fantastic. 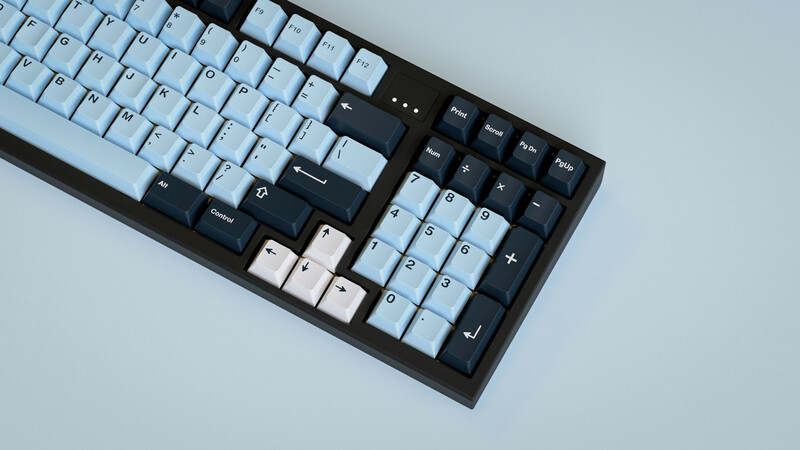 I would probably cerakote the board to match the set exactly! Lol I love the orange 75 actually, sad I missed it. The Xeno also looks amazing! 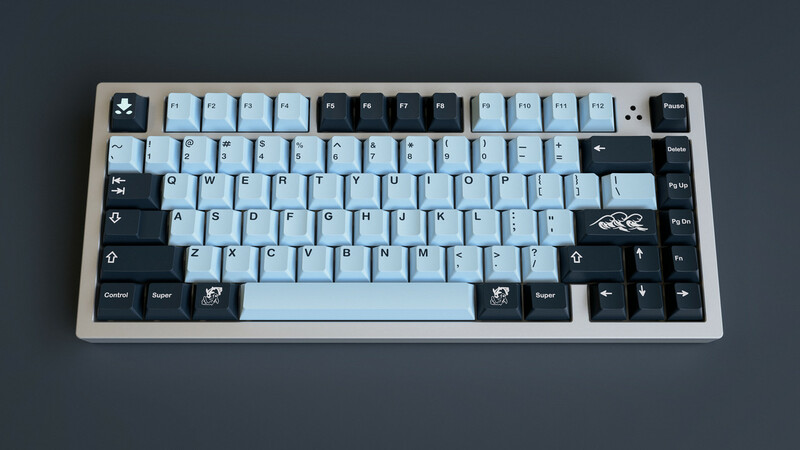 I’ll personally be putting Mizu on the Mlik M60-A if it makes it in GB! 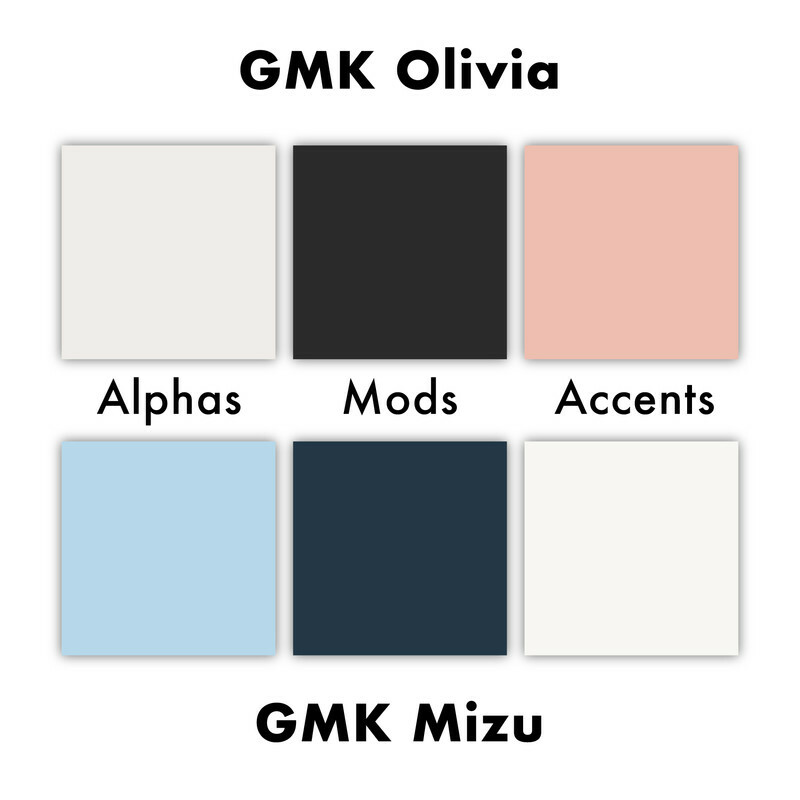 I addressed this in the IC form, but figured I should post here in case others agree with me: I think the accent colors are too creamy. I feel they would look better being a more pure white. 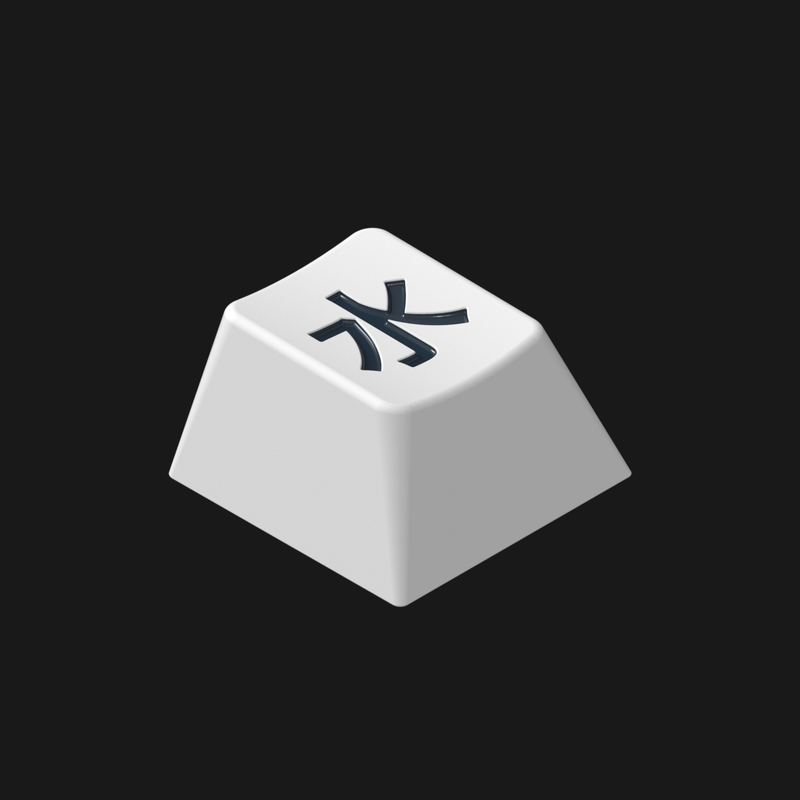 I think it looks cool. 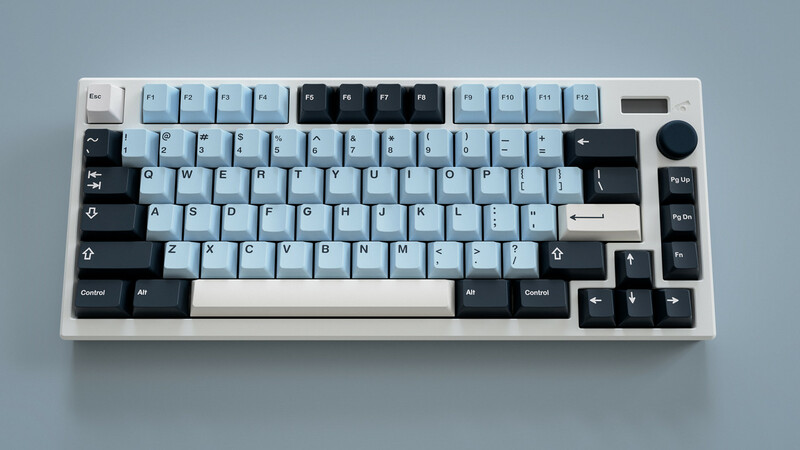 Are there plans to do Ergo / Ortho caps for this set? It’s possible if enough interest is there for them. 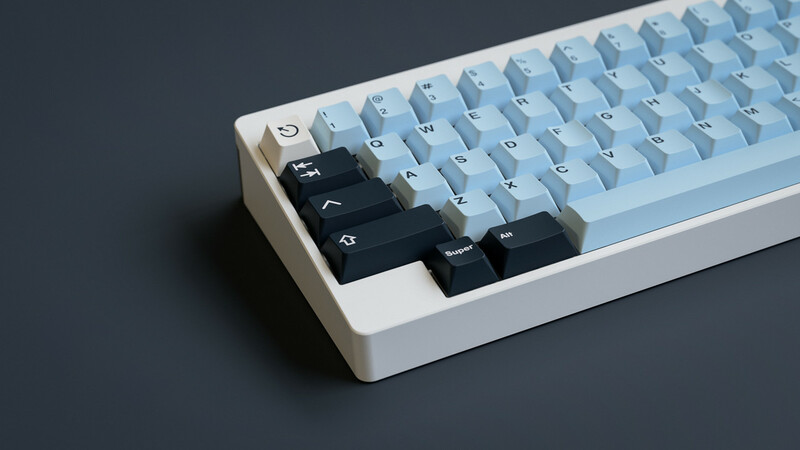 If you want to see Ortho/ergo please put it in the extra comments and suggestions at the bottom of the Google form. 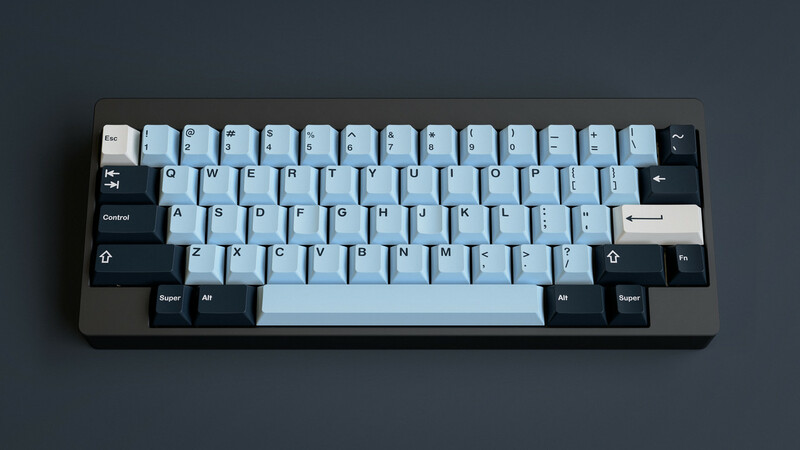 I like it a lot, but man it’s going to need some samples of the blue from GMK for sure. 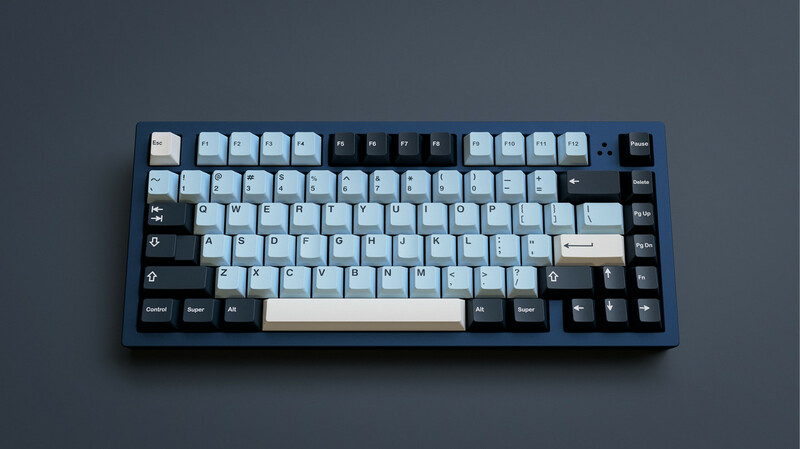 Just thinking about how it seems close to the blue that Nathan Kim is going for in the Mr. Sleeves addon kit, and it’s taken a lot of work to get something that looks not too blue and not too gray. 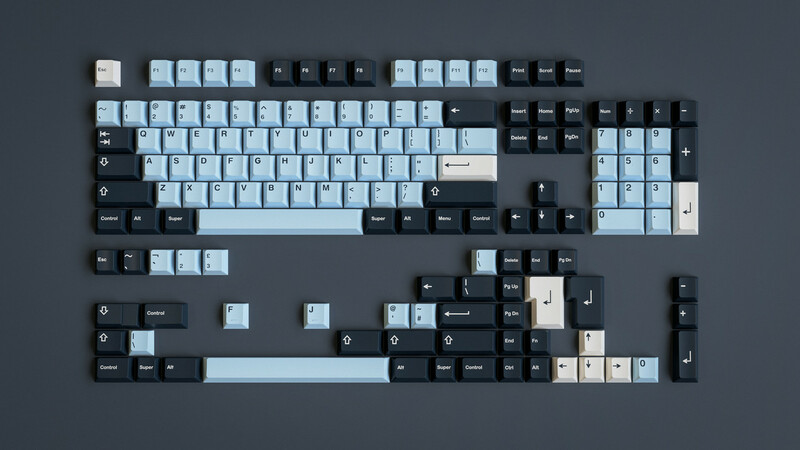 Looking forward to the progress of this set. Also love Avatar and would get all the kits. 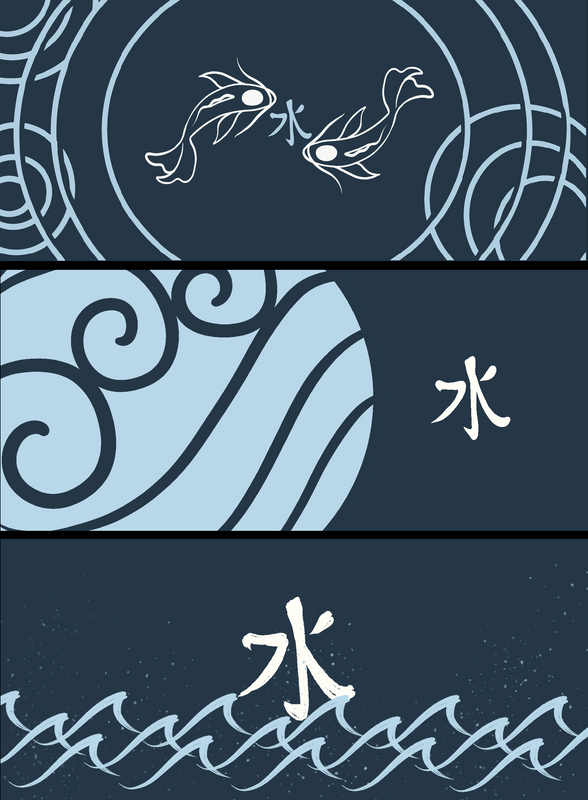 Hopefully this does well enough to also garner fire, earth, and air theme’d kits as well! Looking forward to this set, I especially like the novelties a lot even though I didn’t watch the show/cartoon/anime. Here is a new Google form with some possible changes/additions to some of the kits. Now I realize some of you won’t see changes you suggested reflected here but we cannot add everything that everyone wants. What you will find is the most popularly requested changes, I hope you all can take the time to fill this out as it really helps. Have good one guys! 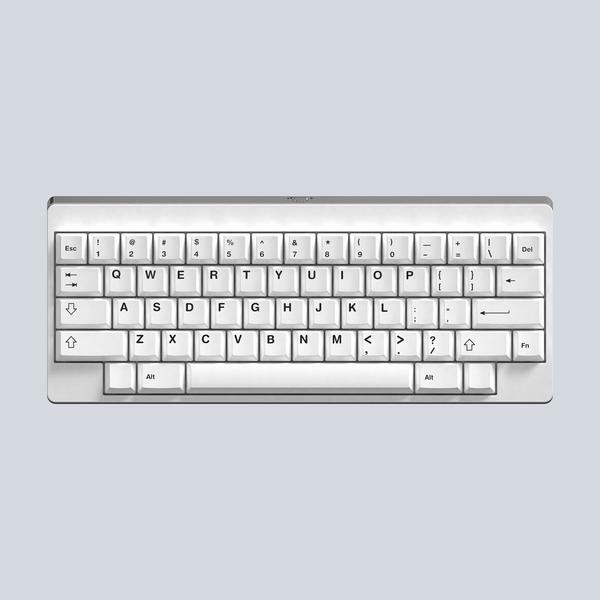 We can only have two deskmat designs available for the group buy. Please pick the two you like the most below! Group buy date is going to be April 29th and will be with these vendors! Thank you all for your patience and support everyone!